Becht advisors have provided a wide array of experience and background to our clients including serving as technical experts in a legal setting on many financially significant cases. In one example, our team was hired to develop economics impact of a broken five-year term agreement for our client to recover a wide range of petroleum oils and slop for an international oil company. Our client had provided staff and equipment on site but their client then decided to back out of the contract and did not pay any of the expenses accrued to the date of notice. Considerable legal effort was exercised to work out a settlement but the buyer of their services refused. Our client, who found us by Internet search, was impressed by our many years of relevant experience in the petroleum refining business, and hired us for the project. 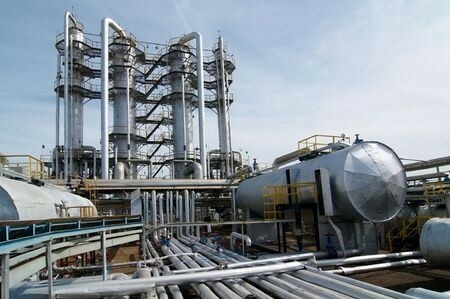 We examined the petroleum processing and pipeline facilities of their intended client in great detail. This included three trips to London for preparation and the final trip was for our day in court. The refineries were examined for crude throughput on an annual basis including evaluation of the capacity of each of the downstream processing units. Our study revealed that there was considerable product loss or that a percentage of the crude oil was not making it to the refineries. The computed loss of crude and/or oil products was unbelievably large. In addition, the method for handling slop oil and catchment from refinery oil sewer systems routed to API separators was also reviewed. At this location, oil was stored for periods of time in open pits, leading to large losses due to evaporation in the hot sun. Our thermodynamics expert modeled the pits with consideration of sun strength and duration, wind velocity and other factors. He provided a measure of loss of oil in just a 24 hour period that was astounding. In addition we evaluated practice of the company’s pipeline with respect to oil produced when pigging the lines. Based on miles of pipeline and conventional rate of pigging and amount of slop produced, our pipeline expert provided an estimate of oil loss due to the practices used at their location. This too was significant. I presented our results to a tribunal of judges in the Swiss International Arbitration court in London. Our data were exhibited using video connections with our experts who remained in the USA but were assisted by me serving as an expert witness, coordinating the team effort in front of the three Swiss judges. Our client is extremely satisfied with our technical work and would hire us again for any and all of their future oil-related projects that require Becht Engineering skills. Nice post. This is my first time that I am hearing about Swiss Arbitration Court .I searched more about this on google. I could understand more information from that .Arbitration is generally more expeditious and cheaper than proceedings before state courts, in particular in international matters. The arbitrators are chosen for their expertise in the particular industry or dispute. Contrary to state court judgments, arbitral awards rendered under the Swiss Rules are confidential.